Why Kronoxx is one of the best WordPress theme for DJ and Nightclubs in 2018? 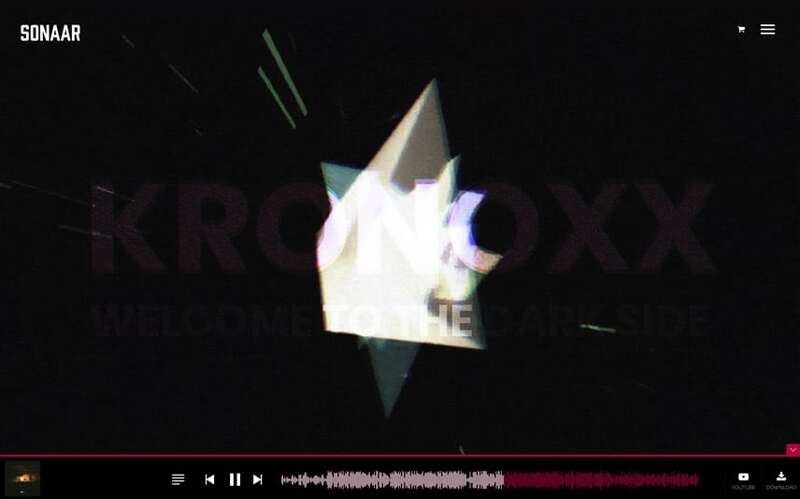 Kronoxx is all about going bold and bold is the new trend. It blends both aesthetic appeal and functionality and perfectly suits electronic music composers, DJ and nightclubs. The design is dark, intuitive and aesthetically pleasing. First, it starts with a fullscreen video background with a cool text effect. You can showcase your recent news, latest videos, biography, events and gigs and your very best music within this WordPress templates for musicians. You can also use an amazing 3D perspective menu. 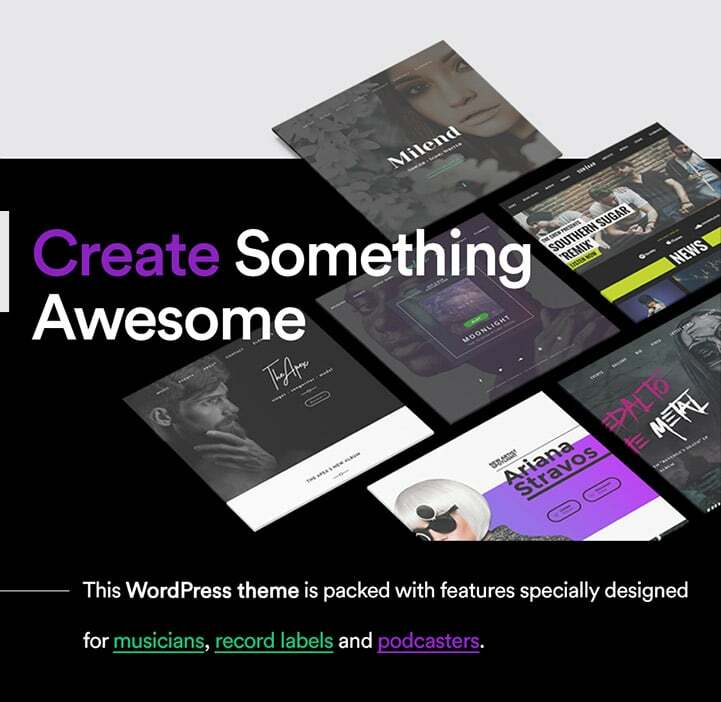 It has so many features that this music WordPress theme will set you apart from your competition and attracts new fans. As a music producer, you probably want to be at the top of your music industry. A key factor to success is to produce great music but also create the best music website to promote your electronic press kit or EPK through social networking. Festivals, music promoters and record labels will check your website and music portfolio before to book you. It’s where we can help you. With Kronoxx WordPress Theme for Musicians, you will be able to showcase your music events and upcoming events but also display your past gigs and festivals you played before in a beautifully designed event calendar. This WordPress theme is also translation ready which means you can translate everything is your own language. You will also have the option to use any translation plugins (such as WPML) to make any music bands website multilingual. You can also use this responsive WordPress theme to display stunning video backgrounds as well as smooth photo sliders and parallax effects when people scroll your music website. To customize and add new elements and blocks to your homepage, you can use Visual Composer, the most popular drag and drop page builder for WordPress website which is included for free! 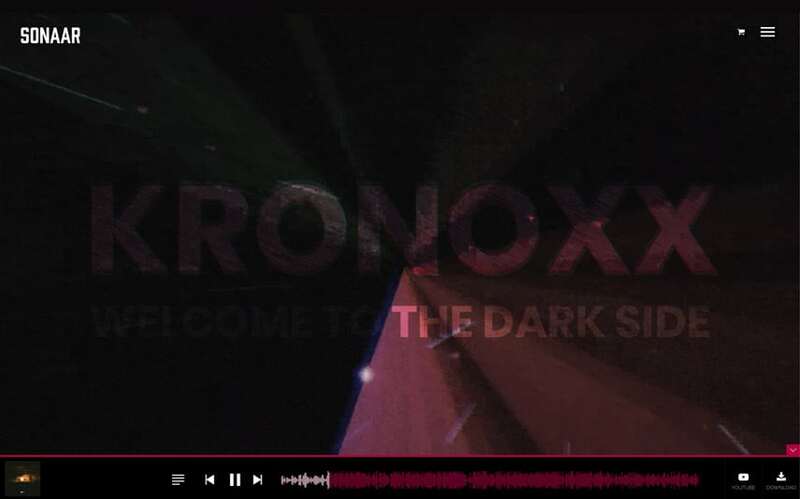 If you are an electro DJ and play during nightlife you will love the design of Kronoxx. 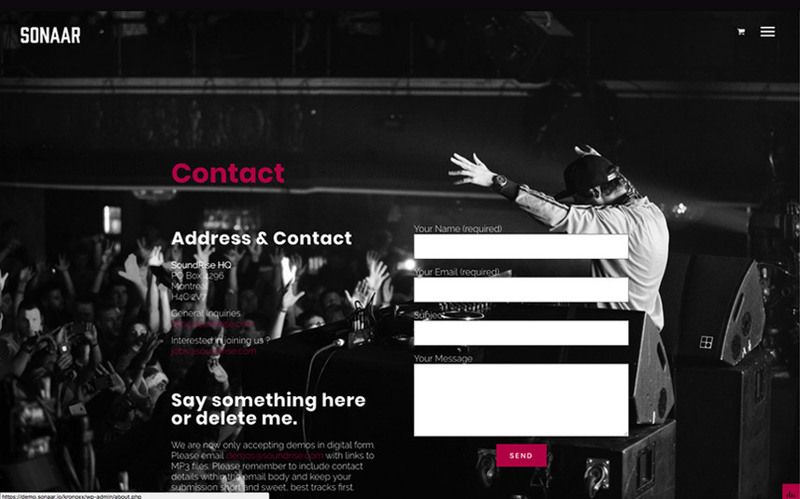 This is one of the best nightclub WordPress themes we ever made! Ohh, did we forgot to mention that you can sell online using WooCommerce? 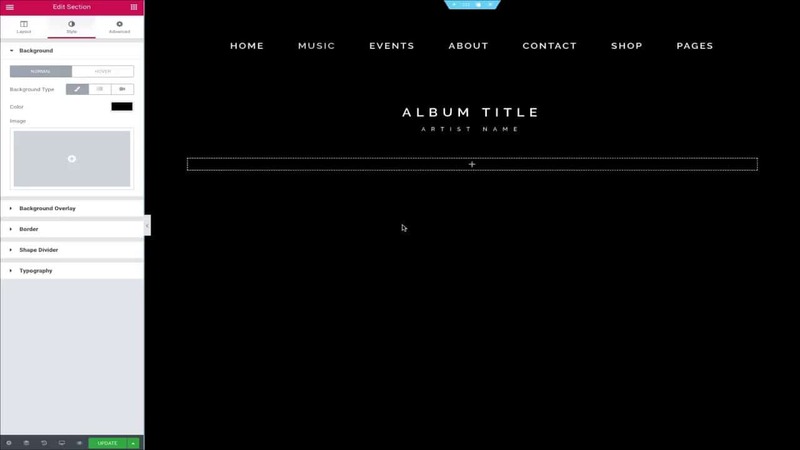 Yep, people will have the option to buy your music and merch directly on your music online store!